Caffeine and Athletics (starts at 4:35): Chances are you’ve already had a cup of coffee this morning or, if you are like me, it was a cup of tea. Or maybe, if you are truly hedonistic, you started the day with a bar of chocolate. Either way, if any of these options are part of your daily routine you’d be one of the 90 percent of people in this country that regularly consumes caffeine, America’s drug of choice. 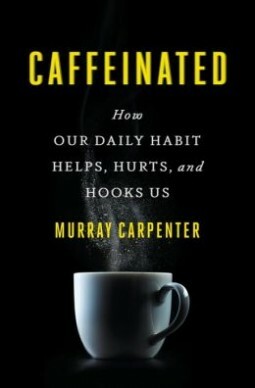 In this week’s show we talk to Murray Carpenter, author of the book Caffeinated: How Our Daily Habit Helps, Hurts and Hooks Us. Although he covers the history and culture of caffeine in his book, he is specifically going to be talking about the science of caffeine and how this powerful drug affects our cognition and physical health. In particular, for all you runners, cyclists and swimmers out there – there maybe a few of you in Boulder – he’s going to discuss how the right dose of caffeine can help an athlete’s performance. Apparently, for you runners who can run a 40-minute 10K without caffeine, ingesting the drug can help knock 72 seconds off your time. That would put you at least 100 places higher in the Bolder Boulder.